IIT Bombay remote Centre had been sanctioned for our institute on 4th August, 2015. Through this remote centre, IIT Bombay conducts MOOC courses and STTP Faculty Development Programmes for students as well as faulty members. This Remote centre had been sanctioned to our institute in the name of Dr MVP Chandra sekhara Rao. This project is funded by the National Mission on Education using ICT (NMEICT) of MHRD to train teachers and students. Participating teachers attend live lectures at a remote center close to their own college, and also attend tutorial and lab sessions conducted in the same centers. The lecture transmission and live interaction takes place in distance mode using A-VIEW technology through internet at the selected remote centers across the country. MHRD Sanctioned an amount of rupees 2.8 lakhs for the additional infrastructure for A-View class room setup through IIT-Bombay. 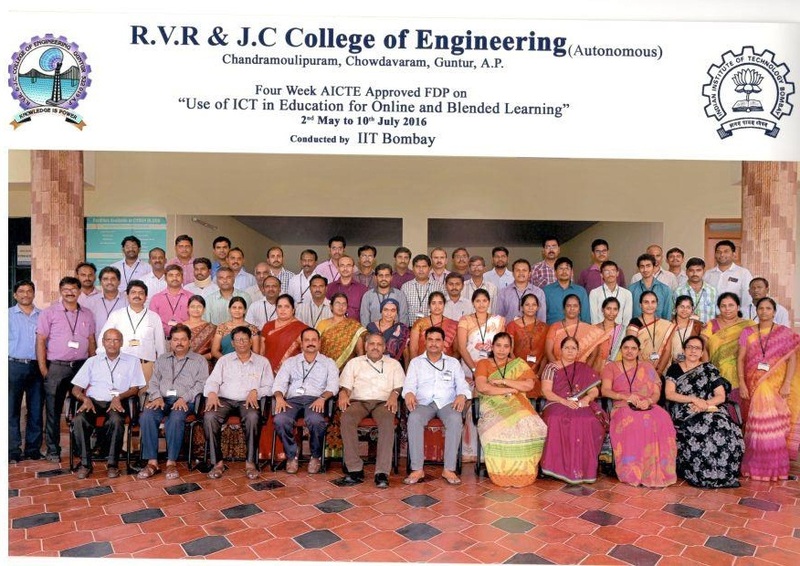 Now, RVR&JCCE is one of the few technical institutes in AP to act as Remote Centre (RCID:1353) to IIT Bombay to conduct MOOC courses and STTP faculty development programmes for students, as well as faulty members. 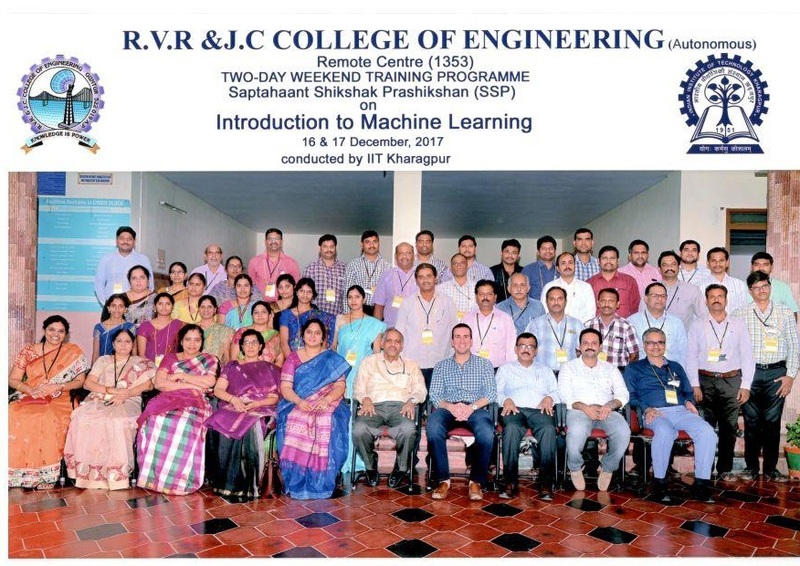 This is a major initiative under the NMEICT (National Mission on Education) using ICT (NMEICT) of MHRD, in which IIT, Kharagpur and IIT Bombay are working as partner institutes. The participant teachers attend live lectures at the remote centre and also attended tutorial and lab sessions conducted in the same centre. The lecture transmission and live interaction take place through distance mode using the A-View technology through internet. 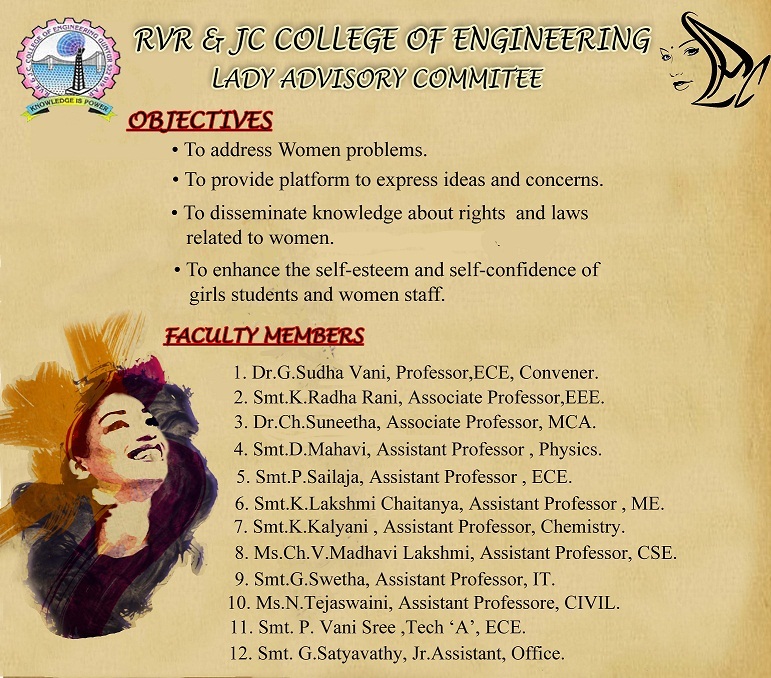 RVR started operating as remote center, after getting approval on 4th August, 2015. The MHRD sanctioned 2.8 lakh to the college to set up A-View Class room through IIT-Bombay. Prof. MVP Chandra Sekhara Rao has been acting as the coordinator of the Remote Centre .